Whether you attend InnoTech for an hour or all day, the InnoTech web site will help you plan your day. InnoTech Keynote Presenter, John Soyring, Vice-President, Solutions and Software, IBM Corp. Mr. Soyring's keynote (at 8am in Room 12AB) will focus on innovation and the role that IBM Austin (leading patent creation site for IBM worldwide) plays within IBM, Austin and the industry. Security Theater - 6 hours of security related sessions will draw hundreds of business owners, IT and security professionals to InnoTech.Microsoft IT Evangelist, Kevin Remde, to speak at InnoTech. The Microsoft Theater will host six hours of Microsoft related seminars including Office 2007 and a Vista Technical Session. Microsoft Hands on demonstrations will also be available in Room 18D. The Texas eMarketing Summit, a special event at InnoTech, includes presentations on Web 2.0, Social Networking, Online Demand Generation and more. See the complete agenda for this jam-packed, one day eMarketing event, only at InnoTech. 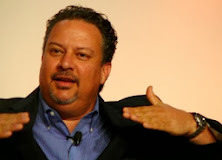 Randy Mott, EVP & CIO, HP will open the Austin CIO Summit this year. The CIO Summit is only open to CIO's, VP IS, MIS/IT Directors and other IT Executive titles. Don't miss it. - A complete list of conference sessions and speakers is on the InnoTech web site, so plan your day now. Register Today and eliminate one to-do from your list. InnoTech is excited to announce this years Austin CIO Summit featured presenter is Randy Mott, CIO, Hewlett-Packard (former Dell CIO & Walmart executive). Cost is only $59 per person (includes lunch, general admission to InnoTech and receptions) Register today at www.innotechaustin.com. Kristin Odeh, Vice President, Information Technology, Dell Inc.